Now that the first Jovian Wars Kick Starter is over the development work turns back to Heavy Gear Blitz! Going forward this will be the pattern where we here in Dream pod 9 work on the prep for kick starters, work on the kick starter and then work on fulfilling the kickstarter while preparing for the next kickstarter. The next kick starter for Dream Pod 9 will be the next three factions for Heavy Gear Blitz. 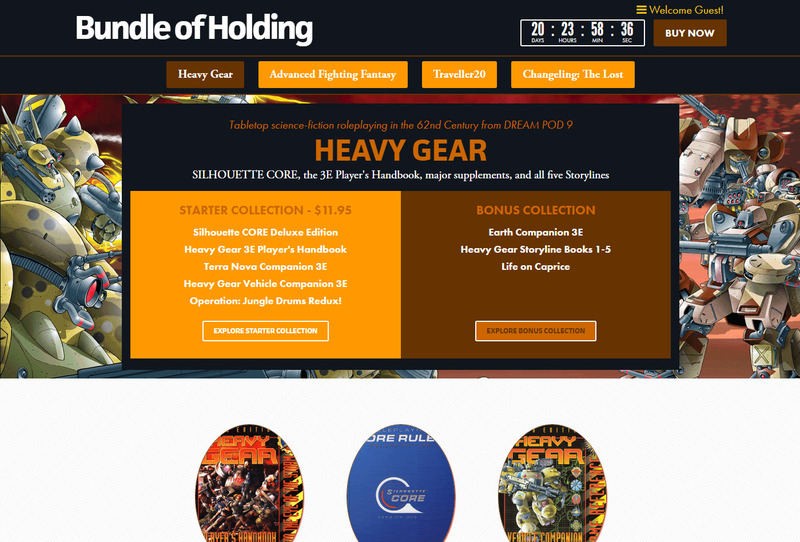 Heavy Gear Bundle of Holding adds The Art of Heavy Gear Volume 1 to the Bonus Collection! Read more about Heavy Gear Bundle of Holding adds The Art of Heavy Gear Volume 1 to the Bonus Collection! Heavy Gear Bundle of Holding adds Character Compendium to the Bonus Collection! The Heavy Gear Bundle of Holding just added the first of two Bonus Titles to the Bonus Collection. ALL customers who previously purchased the bundle with Bonus Collection automatically receive the newly added Character Compendium ebook. Read more about Heavy Gear Bundle of Holding adds Character Compendium to the Bonus Collection! Read more about Dream Pod 9 Teams Up with Bundle of Holding again, this time for our Heavy Gear RPG Fans! Dream Pod 9 Forum Software Updated! Read more about Dream Pod 9 Forum Software Updated! Heavy Gear Assault February 2017 Update! Read more about Heavy Gear Assault February 2017 Update! 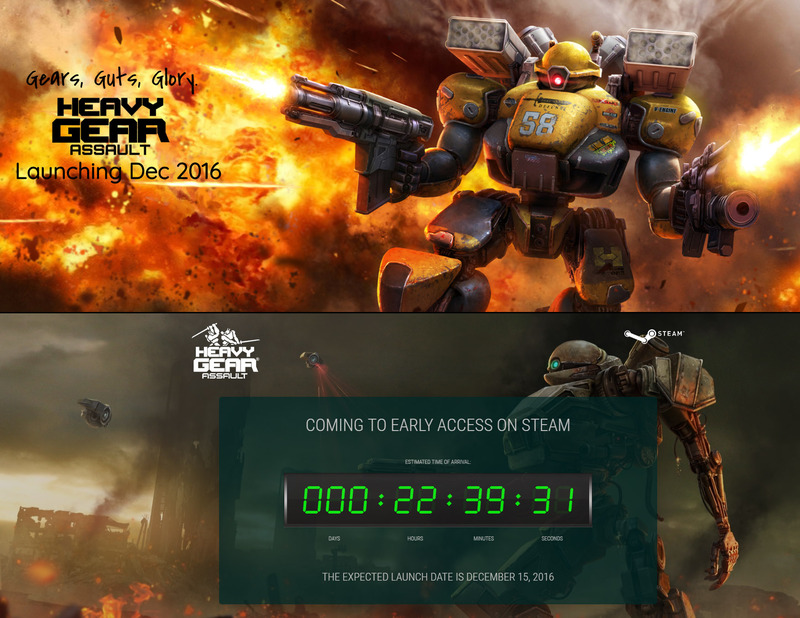 Heavy Gear Assault News from Stompy Bot Productions! 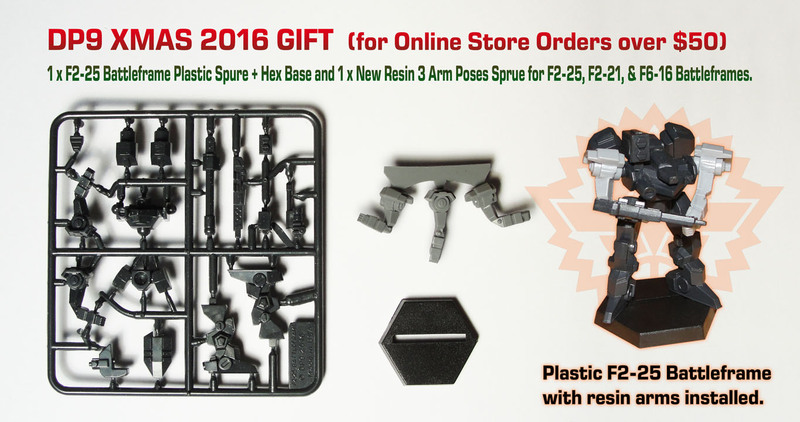 Read more about Heavy Gear Assault News from Stompy Bot Productions!